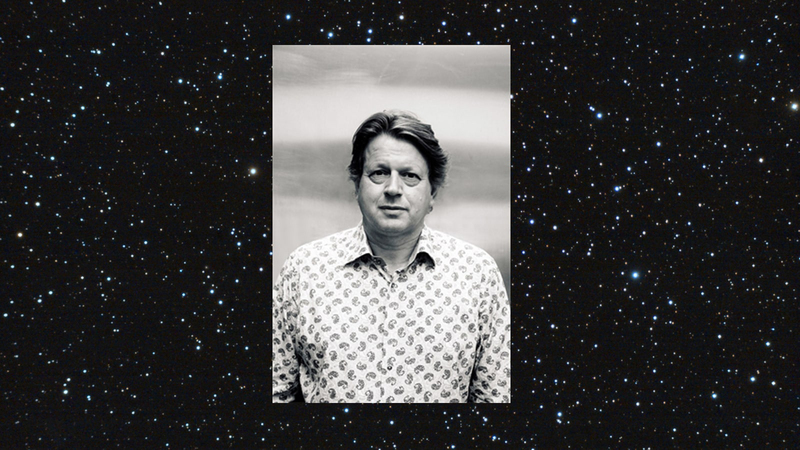 Peter F. Hamilton sat down with us to discuss everything from his new novel Salvation, to his method of world-building, to Stranger Things. Salvation is the stunning first installment in Peter F. Hamilton's new series, The Salvation Sequence. We asked Peter some burning questions, from how he builds his incredible worlds, to the science fiction he's watching right now. How did you get into writing, and why science fiction? Writing was always something I'd considered doing, the idea (impulse?) to start grew steadily during my twenties, so I eventually went out and bought a typewriter. As to why science fiction, it was the genre I enjoyed reading the most, so in my mind that was the obvious field to write in. From your early novels featuring Greg Mandel through to Salvation, it’s been clear that worldbuilding is a big part of your stories. How important is this to you? Very! It's all very well to have a plot, but unless the setting is one which is plausible the story becomes unbelievable. Putting a fully functional world / universe together is my first priority, I'll spend months making sure all the aspects work together. Here Peter talks to us about how he creates convincing aliens, how he researched ideas for Salvation, and his favourite invention from the book. One of your strengths is giving us multiple characters offering a variety of viewpoints. But how do you decide on the different voices that will be necessary to tell the story? It's a chicken and egg situation. I like to provide as much balance to a story as possible, everyone has a reason for doing what they do, and just because I personally don't share their opinion doesn't mean it's not valid. So main characters are chosen for their outlook on what's happening, which in turn gives them their behaviour and motivation, which colours their voice. How do you tackle writers’ block – if you suffer from it?! I avoid it by making a lot of notes beforehand. That’s not to say there are no bad writing days, but I always know what I have to write. I suppose that means the only time I’d have writers' block is if I couldn’t think of a new idea for a book. That hasn’t happened yet. In this video Peter tells us how he managed to keep track of all the linked narratives in Salvation, how he likes to unwind after writing, how much of his plots he plans before starting to write, and who his favourite character in Salvation is. If you get time to read for pleasure, what’s your go-to genre – other than science fiction? Or is it science fiction all the way? It is mostly science fiction, and mainly because I now know so many SF authors. The to-be-read pile is now so large that they never will all be read now. And I have just come out of a phase of reading a lot of children’s books. Sadly my kids are now too old for me to read to them each night, but it was grand while it lasted. There’s been a greater output of quality science fiction TV shows and mini-series of late – both from original ideas and novel adaptions. Do you have a favourite among these, or any you’d recommend? And have any recent films caught your attention? I've just finished binge-watching Stranger Things on Netflix, which I liked. I haven't got round to watching The Expanse, and I'll probably take a look at the new Star Trek series when it comes out. In films, my son is a huge Star Wars fan - I don't take much persuading to take him to the cinema for that. Here Peter tells us what his biggest distraction from writing is, his favourite timeline in Salvation, and the most appealing aspects of the world he has created.